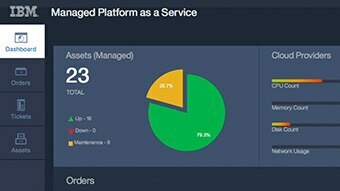 What Managed Platform as a Service can do for your business. 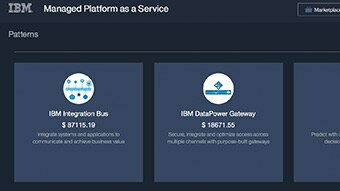 IBM® Managed Platform as a Service (MPaaS) solves provisioning, configuration and scaling challenges for hybrid infrastructure. It securely deploys middleware stacks in hours along with managed services. MPaaS provides pre-configured business stacks of infrastructure and middleware in a catalog. With a fully managed platform, you’ll have the flexibility to scale up or down as your business needs change. Automated provisioning ensures you never have to worry about reconfiguring for unexpected workloads. It also offers a management dashboard for monitoring, reporting and spend analysis. Enable automated faster deployment with on-demand provisioning and scalability. Save money by paying as you go with no upfront investment. Take advantage of a fully managed and monitored service level agreement, allowing you to focus on productive tasks. Get a business application stack hosted on the IBM secure cloud platform and secure enterprise grade certified services.